Forum Index > Off-topic Talk > Results of sword-cleaning A.D.D. Posted: Sun 21 Nov, 2004 6:41 pm Post subject: Results of sword-cleaning A.D.D. Oh wow, Joel, I first looked at that photo and thought it was a person's back with your thumb being the neck extending upwards. It looked like you had taken several lashes from the sword! 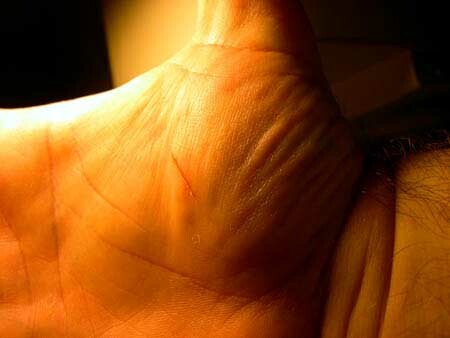 As it stands, those small cuts on the hands are quite painful and I can recall many times dealing with that sort of thing.